In celebration of the approaching spring season, we are now introducing a new, larger sized print. The first motif to be available in this format is Spring - A vibrant and joyful motif greeting us with its lush tulips and budding crocuses. 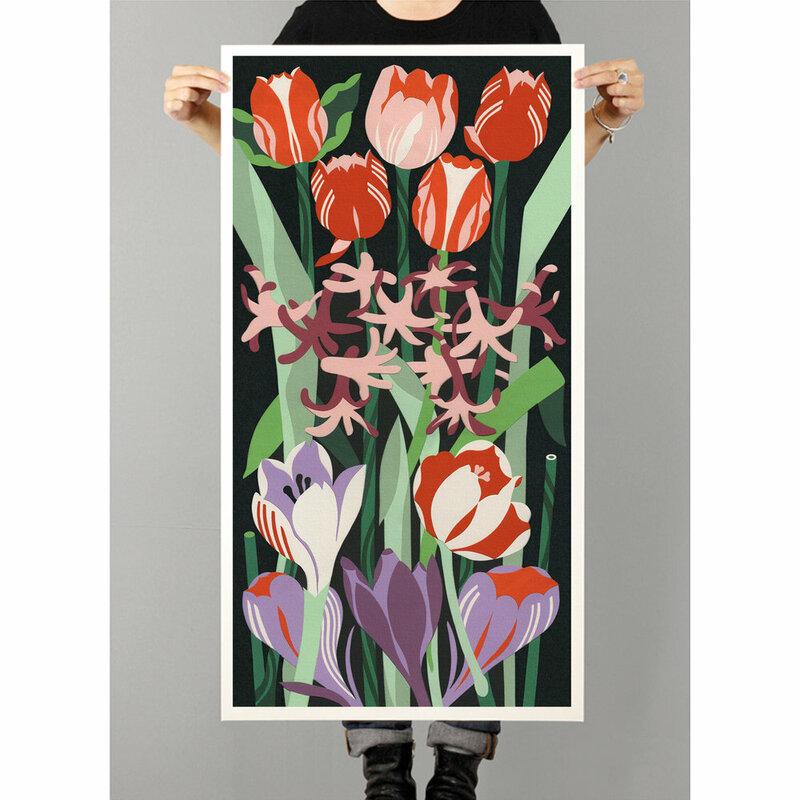 All Petra Börner Giclee prints are produced onto Museum grade, Fine Art paper - An acid-free, 100% cotton quality by Hahnemühle. Each print is quality checked and it's number within the Edition is allocated on the signed, Archival Certification on the back of the print. All prints come with a Petra Börner certificate attached to the reverse of the print, signed by the artist and stating the title and number within the Limited Edition. Giclee print is a type of high quality print that is made by a digital process, using an inkjet printer with expanded-gamut. This process lends itself perfectly to the translation of Petra Börner’s signature style artwork, as it captures the lush texture and detail of the original cut paper artwork. All artworks are printed onto the finest digital, Museum grade Fine Art paper - An acid-free, 100% cotton quality produced by Hahnemühle. Our printing studio is a member of the Fine Art Trade Guild as well as being a Hahnemühle Certified Studio.